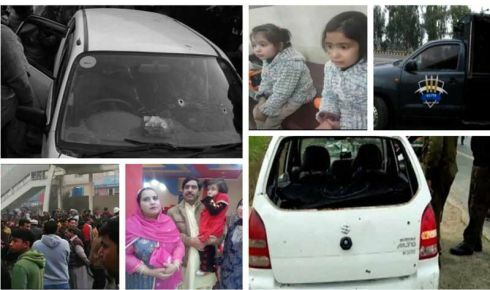 The blatant massacre of a family on a highway near Sahiwal by members of the CTD (Counter Terrorism Department) outraged and enraged the nation. The unbelievable and unpardonable act led to the deaths of four people—the driver and owner of the vehicle whom the CTD is now branding a terrorist without any conclusive proof, a couple who were the drivers’ neighbors and either being driven to a marriage as a courtesy or because they were paying for the ride and their teenage daughter. Three young children in the car survived but will be scarred for life having witnessed the killing of their parents and sister. No responsible person—the head of CTD, or Inspector General Punjab Police or the Minister for Home Affairs Punjab if there is one—has come forward to assume responsibility, give full details or explain what happened and why. It should have taken a few hours to get a full report of the incident, acknowledge its gravity and initiate action. Instead we had a senior personality sounding off about ‘collateral damage’, we had an announcement of Rupees two crores as relief for the survivors, another senior person giving a confused statement about a 100% correct CTD operation gone wrong, yet another senior personality going to grieve with the stricken families with a bouquet of flowers and of course multiple politicians giving their views in numerous television programs with investigative reporters giving details gleaned from eye-witnesses. In the absence of a proper investigative process a Joint Investigation Team (JIT) was ordered to investigate and report and the CTD personnel who did the killing were arrested. As shown on television the CTD team was using a marked police or CTD vehicle but were dressed most unconventionally in all sorts of shabby clothes. There is no evidence of the CTD/police having radioed ahead to set up a road block to stop the vehicle they were following. There is no report of the CTD personnel having used a hailer to ask the occupants to step out of the vehicle once they caught up with it before they were all butchered inside their vehicle in a hail of fire—a total of 34 bullets with each person receiving multiple hits including a little boy who survived. There is no report of any weapon or ammunition recovered from the vehicle nor of any sort of resistance from those who were shot dead. There is nothing about the scene of the incident having been cordoned off and preserved for subsequent investigation—just a TV visual of two tiny girls being lifted into a police vehicle. What is one to conclude from these lapses—total incompetence, zero training, no SOP’s (Standard Operating Procedures) or an immediate and massive cover up of an irresponsible action by people acting out of any control or sense of accountability. The thought that they did what they did because they were ordered to do so is simply too horrible to contemplate. Now the media is reporting about pressures on a lawyer representing the families of those slain by a call from the CTD—a recording of the call has been played multiple times. A member of the family has denied that there is any such pressure and has disassociated from the lawyer (under pressure?). According to the media the family members were transported by the Police to the Presidency for a meeting with the President but brought back with no meeting having taken place. 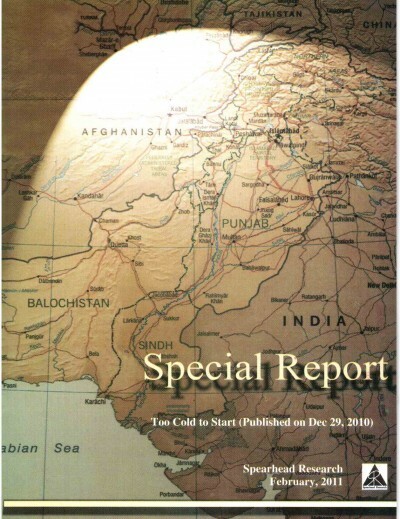 There is a report about the Senate sending a vehicle to bring the family members to the senate in Islamabad. It is also being reported that the family has rejected the JIT report as being biased and a new JIT is being formed. So all this is going on while a formal investigation is underway and apparently a forensic procedure is being delayed because the CTD is not giving up the weapons and ammunition used—there is nothing about evidence collected from the scene of the killings. Eye witnesses have been asked to report to a police station to record statements apparently at their own expense– but given the horror associated with the police they are unlikely to do so—perhaps the media could identify eye witnesses who could then be contacted by the JIT? The evolving situations indicates that multiple forces are at work to obfuscate and confuse. Someone needs to take charge and acknowledge the numerous lapses with the promise that corrective action will be taken and that an unhindered investigation will be ensured to deliver justice and above all that the rule of law will prevail in future with no trigger happy incompetents on the loose. This can be done in a day if there is a will.